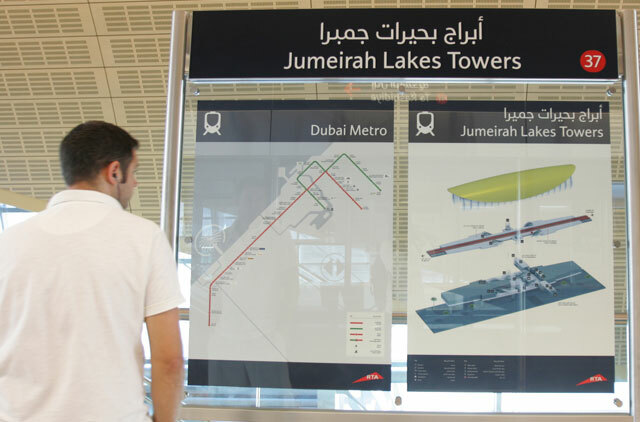 Dubai: Commuters are delighted with the opening of five more stations on the Red Line of Dubai Metro. 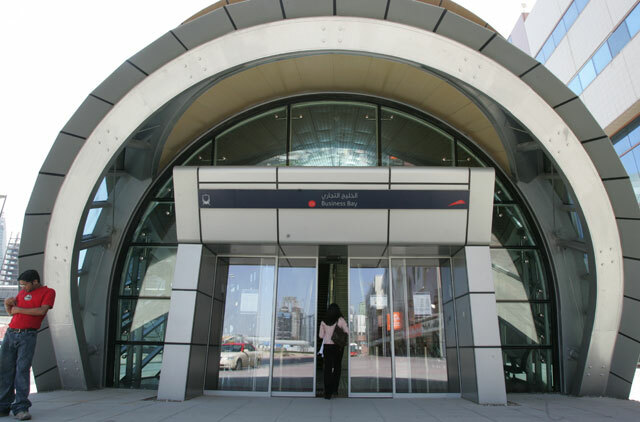 "We are very happy as we will now be able to use the metro regularly," said Jacob, who took the train at the newly opened Business Bay Station. He along with his two children and wife got into the train to go to Al Rigga Street in Deira. 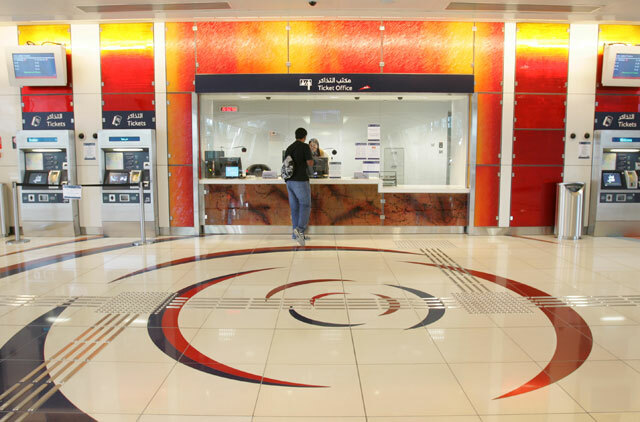 Five stations which opened their doors to passengers on Friday include: Business Bay, First Gulf Bank, Sharaf DG, Nakheel (near American University of Dubai) and Jumeirah Lakes Towers. All the new stations are located on Shaikh Zayed Road. Total number of operational stations on the Red Line has now increased to 26 out of a total of 29. "We plan to open rest of the three stations in the first quarter of next year," Ramadan Abdullah, Director of the Rail Operations at the Dubai Roads and Transport Authority (RTA), told Gulf News during his inspection of the newly-opened stations. The three stations — Energy, Jebel Ali Industrial and Jebel Ali Free Zone — still not opened are last ones on the Red Line towards Abu Dhabi. "We expect the number of passengers to increase by from the 130,000 per day to at least 145,000 daily — an increase of some 15,000 with the opening of new stations," said Abdullah. He said that train stopping time at the stations has been reduced from 30 seconds to 20 seconds and the total journey time on one side of the Red Line has increased by only two minutes. One way journey time will now be 62 minutes. The headway or frequency of trains has also been readjusted as trains will arrive at the station after every eight minutes from 6am to 4pm and every six minutes after 4pm until late night which is peak time. Some 17 trains will serve passengers during off-peak hours while 20 trains will be on track during peak hours. "We have so far achieved 99 per cent ration in punctuality and train availability and it is a great achievement for us," said Abdullah. . 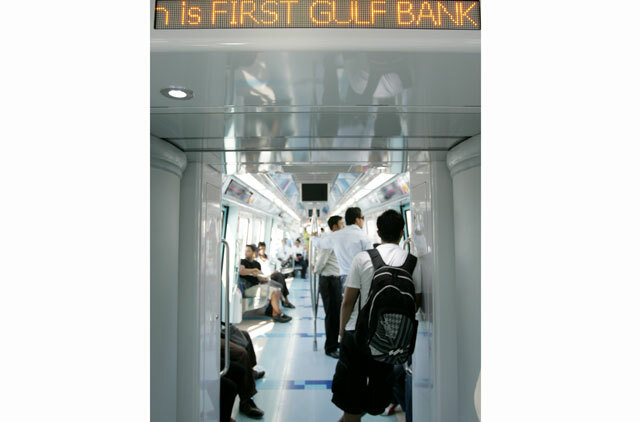 The RTA has also increased the train operational hours by adding one more hour on Thursdays and Fridays. Trains will be available from 6am to 12 midnight on Thursdays and from 1pm to 12 midnight on Fridays. The operating time will remain the same from 6am to 11pm from Saturday to Wednesday. When asked when the RTA will open the remaining three stations, Abdullah said that the RTA is currently conducting a survey by approaching the big companies in Jebel Ali Free Zones (JAFZ) to gauge the demand for the service. The Dh28 billion Dubai Metro project is 76 kilometres long and consists of 52.1 kilometres of Red Line and 23.9 kilometres of Green Line. The Green Line is expected to be open in August next year. Abdullah said that at least 28 feeder buses have been deployed to link the new stations with the communities around them and the service is set to run at 13 to 20 minutes frequency. 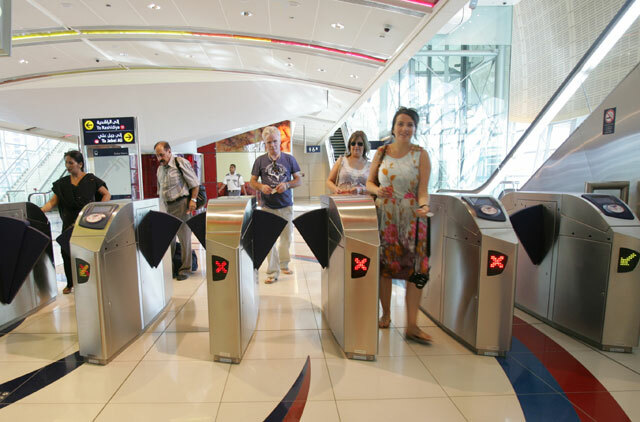 Around 9,000 Emiratis use the Dubai Metro every day and their number is increasing gradually, said Ramadan Abdullah, Director of Rail Operations at the Dubai Roads and Transport Authority (RTA). "The number of UAE nationals using the Metro is more than our expectations and we are very please with the figures," he told Gulf News on Friday. He said that a survey conducted by the RTA has revealed that some seven percent or around 9,000 out of an average of 130,000 daily Metro users are UAE nationals. The study shows that about 48 per cent of the Metro users are Asians, 10 per cent European, 25 per cent Arab expatriates and three per cent are tourists. "The encouraging factor is that some 30 per cent of the Metro users have cars and they leave their cars at home or parking lots to use the Metro," Abdullah added. How often do you use the Metro? Will the opening of the new stations encourage you to switch to public transport?